Evymama Toronto's new store! Evymama has moved! 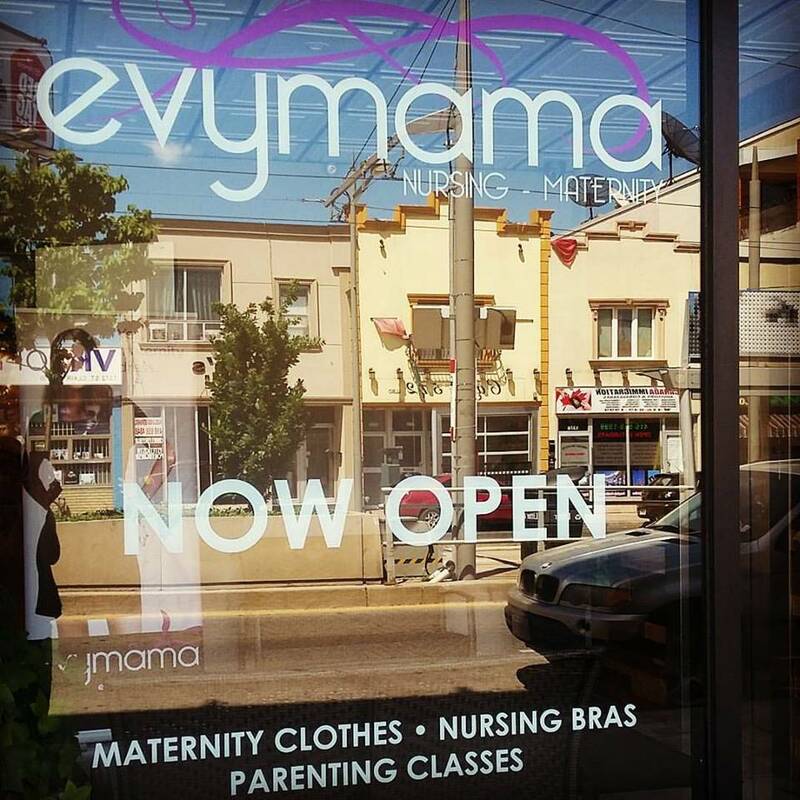 Evymama Nursing & Maternity, Toronto's Only Breastfeeding Boutique, has consolidated to one spacious store at 1345 St. Clair Avenue West in Corso Italia. We will now offer birthing classes, parenting workshops, and prenatal yoga beginning in September 2016 in our dedicated learning space. Customers are loving Evymama's spacious new store at 1345 St. Clair Avenue West! We moved from the Danforth in May and are now settled in, with a few more exciting developments in the works, including birthing and parenting classes, prenatal yoga, and more, all beginning in September! Watch for our Grand Opening on September 10th! We're thrilled about our extra changerooms, beautiful nursing lounge, customer restrooms, and our huge and wonderful classroom. The nursing lounge at Evymama is furnished with antique "rescued" chairs that have been stripped, restored, repainted, and reupholstered, giving them a beautiful new life as our breastfeeding chairs! We of course still have "The man chairs"- those dedicated chairs at the front of the shop that male partners seem to naturally gravitate towards, leaving the nursing lounge at the back of the shop nice and private for breastfeeding moms! We're not sure what has them sticking so close to the door, but it's what they do, so we just let them do what comes naturally. Some things never change- we still offer no-appointment necessary nursing bra fittings, and are committed to keeping GREAT nursing bras in stock. Our Summer nursing tops and nursing dresses are on sale with code SummerSale! Watch for Fall nursingwear coming soon.